This week, we have politics, live music and literature. The first two events are free. The authors series is $2. Tuesday, Decmeber 13 at 6:30 pm, join Eldorado area Democrats to discuss and organize efforts for the upcoming election. Wednesday, December 14 at 6:30 pm, join us for the Eldorado Elementary School Choir holiday performance. The choir will be accompanied by the Marimba band for some songs. 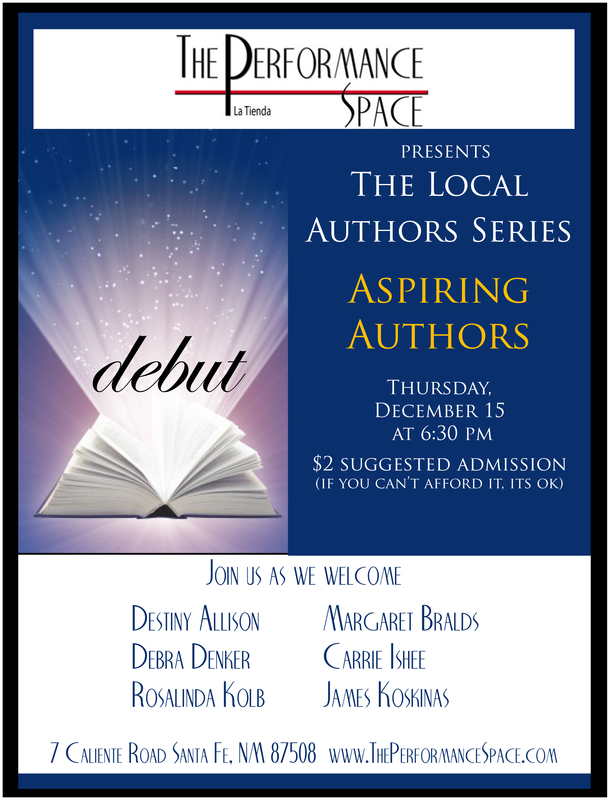 Thursday, December 15 at 6:30 pm, The Performance Space presents the Local Authors Series. Join us for readings by six aspiring authors. This entry was posted in Uncategorized and tagged Book reading, concerts santa fe, Literary Reading, live music santa fe, performance space, santa fe educational event. Bookmark the permalink.